A group of Executives and Grain SA staff members took an aerial survey of the North West Free State and the North West Province early this morning (12 Feb). 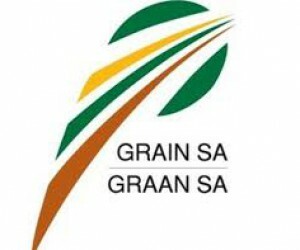 "The summer grains (maize, sunflower and soya beans) are in a critical stage and the next fourteen days will determine the fate of South African food prices over the next 12 months," Jannie de Villiers, CEO of Grain SA, said today. The extreme heat and dry conditions caused the crop to deteriorate much faster than expected. "We have seen large areas where the damage is already irreversible," De Villiers reported. We have seen irrigation maize being cut off for silage probably due to load shedding. At this stage rain in the next week can, at best, get us to a break even situation, but the odds are against us. Very little rain is predicted for the period ahead. 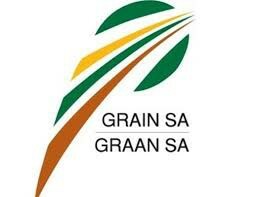 We currently expect that the crisis will be much more in the white maize production areas in the West. The continued load shedding will also have a negative impact on the stable production in the irrigation areas. The Eastern production areas in Mpumalanga and the Free State where the majority of the yellow maize is produced, desperately needs follow up rain. Some areas are still promising, but it is scattered. The probability of a surplus maize crop is less than 10%, based on what we have seen and all the reports from our members. We have seen many hectares of sunflower dying in the heat without even forming a flower. Many farmers in the western parts could not get any crop insurance as the foreign underwriters regard the area as too risky. Our import infrastructure will also be under tremendous pressure as we have not imported substantial quantities lately. It is not just this year that will be affected, but the input finance and moisture base for next year will be adversely affected. The grain farmers of this country are calling on the nation to pray with us for relief.